Finally, we have a picture-perfect weekend; no wind, lots of sun and a high temperature expected to be right about 70! I decided to check on the carrots in the garden. 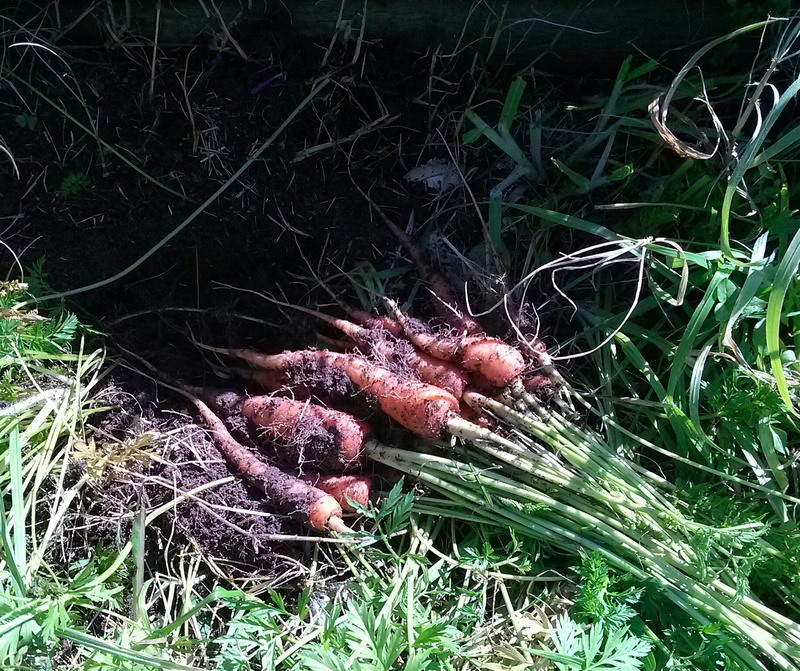 We did not plant any in the Fall due to the rain and excessively soaked ground, however, we do have carrots in the garden now. Last year’s weather was perfect for carrots — our garden produced about 30 pounds or so. The carrots were harvested in December, with a few in January. I let some of them continue growing until seed was produced–the seed apparently had no problem germinating without help from us! The surprise was from the 10 inches of ground adjacent to the landscape timbers of our raised bed (yard just adjacent to garden). 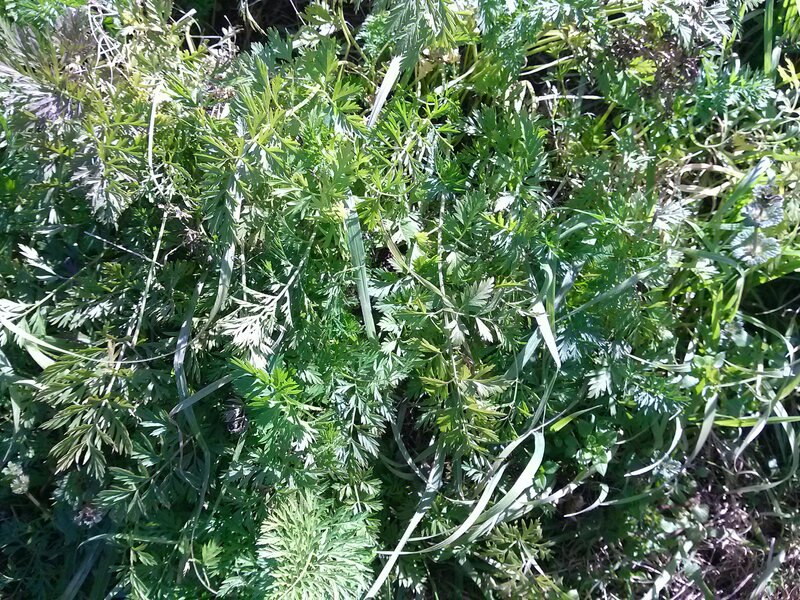 The top picture shows carrot plant growth, the bottom picture shows the carrots that were pulled from the ground beneath the plants. The carrots are all 4 to 6 inches in length, the largest diameter on a carrot is about 1.1 inches. Of course, we’ll have them for supper!